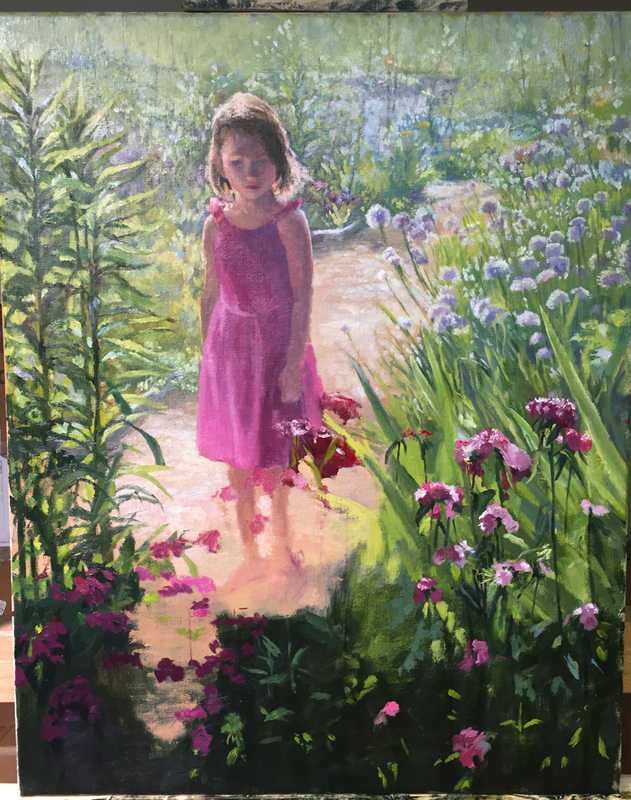 When I began this painting, I first completed a scaled color-study of the composition.Because I was working from a photo reference, I wanted to explore a few ideas and experiment on how I was going to simplify the busy and information filled background. Something you may know about me, is that I am SUPER fascinated with detail, lots of texture, and complex shapes. 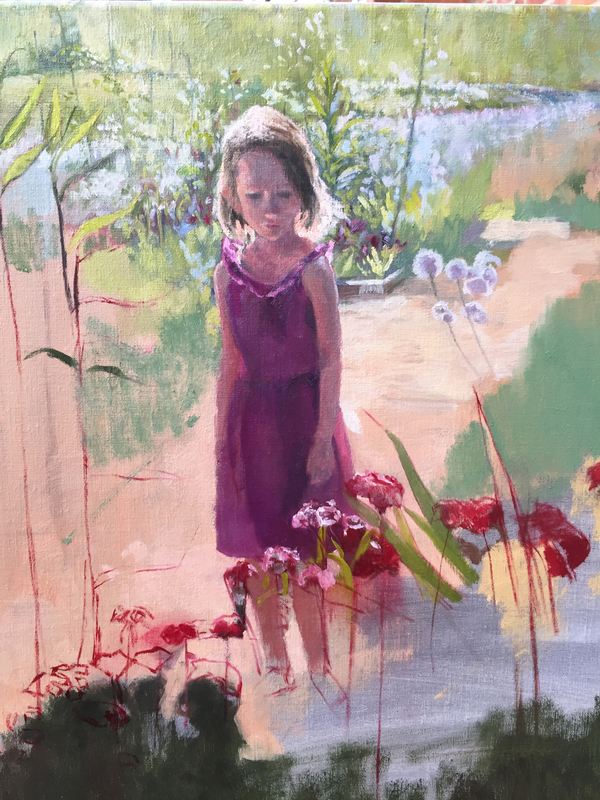 However, detail and texture must be incorporated thoughtfully into a painting or else it will overwhelm the composition. This was my progress completed in my first painting session. Here I am a few more days into the painting. More time dedicated into painting the garden background. Moving forward with the composition. 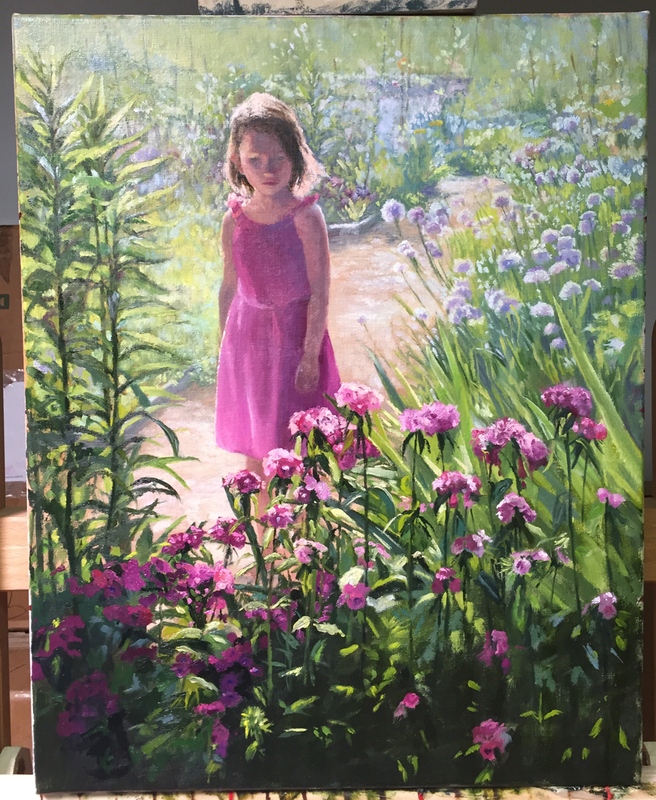 Beginning to tackle the foreground and how Naomi connects with the Sweet William flowers in front of her. After I got this far, I wasn't completely satisfied with how Naomi stood out in the composition. So I began to mentally explore what changes I would need to do to make Naomi a stronger visual element in the piece. Eventually I decided to alter the height of the tall plants that were to the left.